Silicone hoses for Cars are specifically designed to directly replace your Original Equipment hoses. We supply kits and parts from most of the main players, Samco, Forge and many more so always ask as the range of hoses and kits changes constantly. Now, with over 450 direct replacement kits available for more than 26 vehicle manufacturers, we offer the largest range of direct replacement kits. And to make your installation simple, we also offer matching “clip kits” containing the exact number of clips, in high quality stainless steel, for you to complete the job. 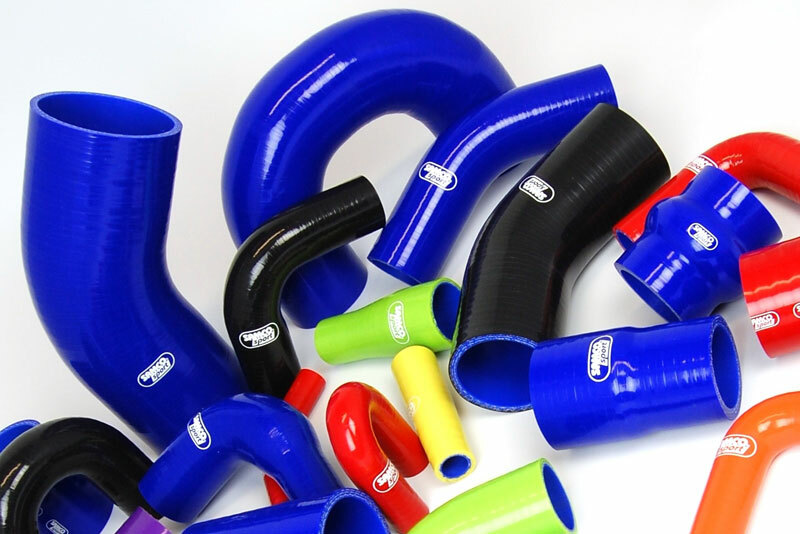 As used by many top Superbike teams including MSS Kawasaki & HM Plant Honda, SamcoSport offers a great range of race-tested, direct-replacement silicone hose kits offering many benefits over factory fitted hoses. Available for a wide range of motorbikes both in Motorsport & Fast Road use, silicone motorbike hoses offer longer life and extreme durability at the high temperature & pressure seen on well-tuned machines. All direct replacement kits are available in any one of the 9 standard colors. 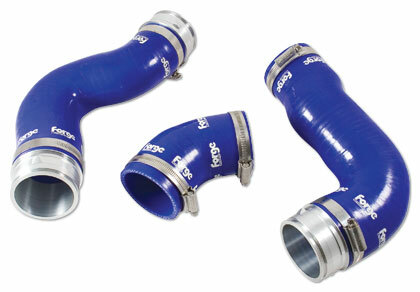 One of the main areas we cover…silicone hose boost kits. Many of the turbo charged vehicles that we have in the work shop for turbo charger repairs and replacement have faulty boost hoses which in many cases have contributed to the turbo chargers failure. It is essential that boost leaks are eliminated and a silicone boost kit is the answer…. Not only do they look better BUT they are considerably cheaper than main dealer replacement items. In addition we also supply individual silicone hoses,in various shapes and angles and diameters for one off upgrades, so just call with the inside diameter dimensions angle and length and well try and help with a replacement item.